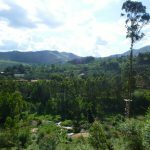 Cross the meadow from the Kisiizi Falls Visitors Centre, pass the lagoon, climb the zig zag path up the hill and you will come to the final platform of the SkyTrail ride. 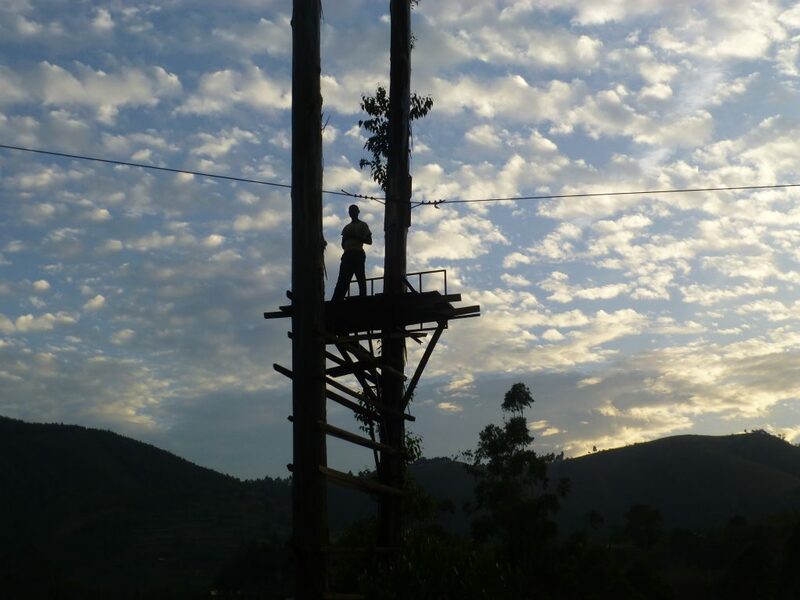 High above the strong cable reaches the platform hung between two trees. 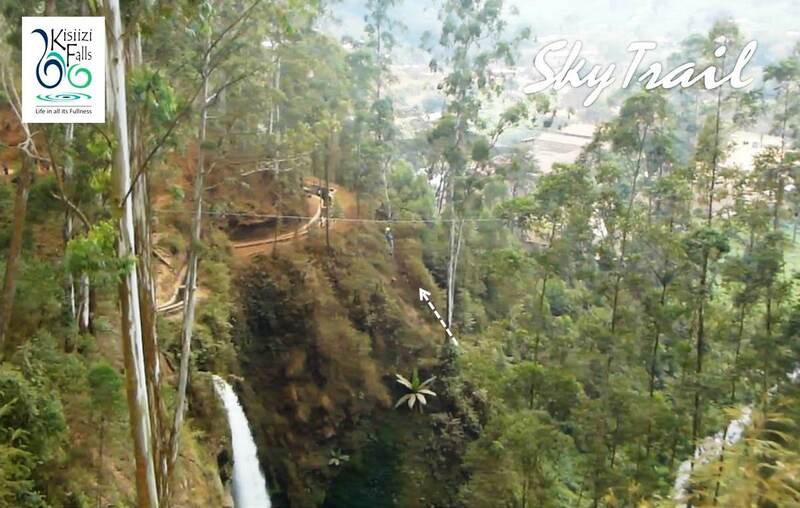 You continue to ascend seeing the zipline to your right with the beautiful waterfall beyond. 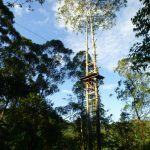 Now you climb over a ridge and new vistas into the next valley open up as you move down to the first section of the ride. 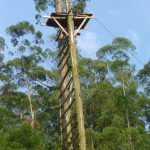 This is easy to clip on to as you can reach the start of the cable from the ground without any platform needed. 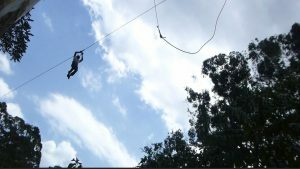 Once safely harnessed, gravity carries you down to the first platform, high above a river valley where you leave section one and click on to section 2. 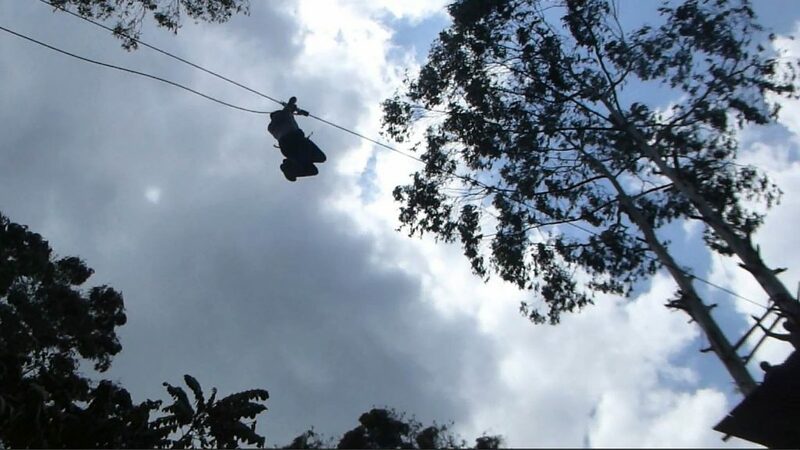 You ride down to platform 2 within a clump of trees. 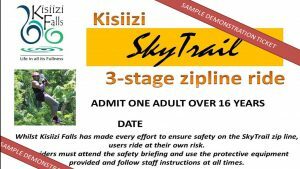 And now the fun starts as, after your warm up, you get ready to ride the final high-level high-adrenaline run way above the suspension bridge with Kisiizi Falls well below you to your left. 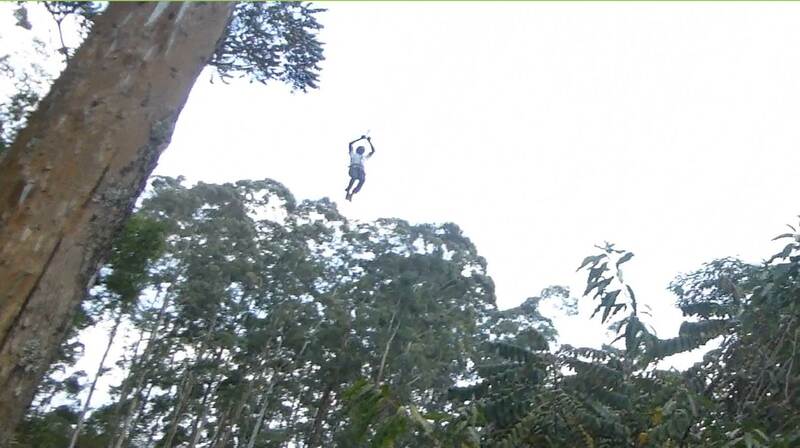 will you go round again??? 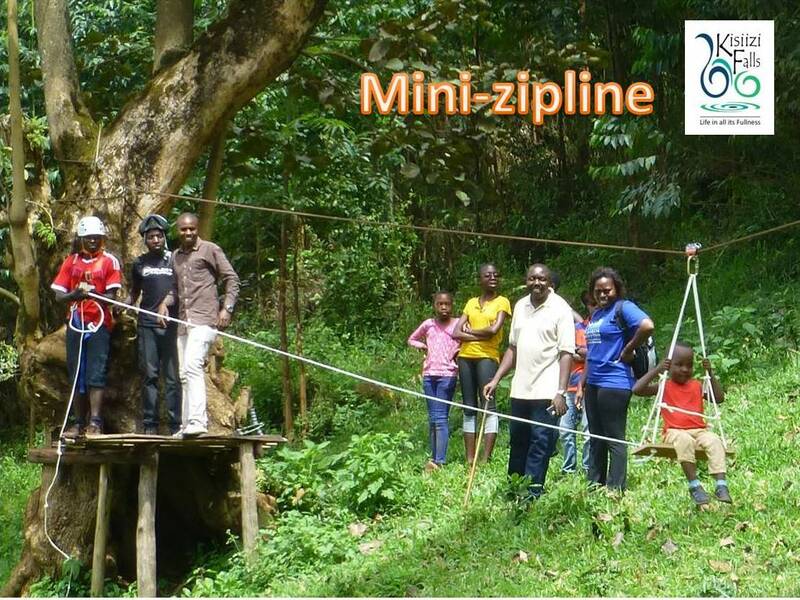 to make sure the little children don’t feel left out there is a mini-zipline to enjoy. 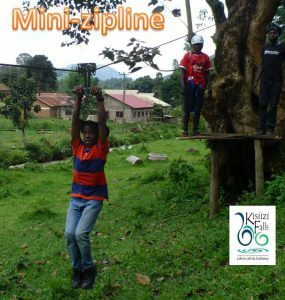 Older children who are still too young to go on the main SkyTrail (which is only for 16 years and above) can go on the mini-zipline but instead of using the chair seat in the photo above can hang on the adult pulley trolley… its quite low and short but can still give a lot of fun and laughter! 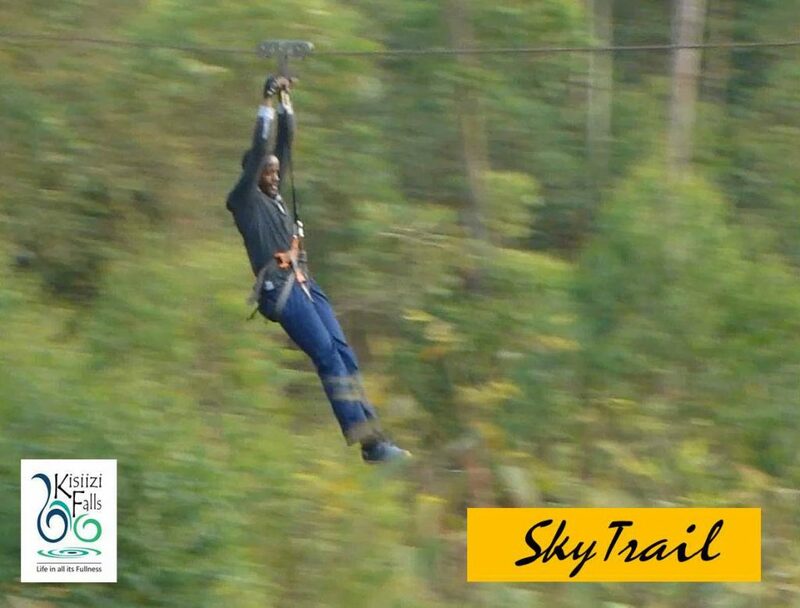 Meanwhile the main SkyTrail is high altitude and high adrenaline!